The old adage, “You can’t judge a book by its cover” does NOT ring true in Real Estate! I have had, on occasion, pulled up to a property to show to prospective Buyer clients only to hear, “Sorry, let’s skip this one – I don’t like how it looks on the outside”. 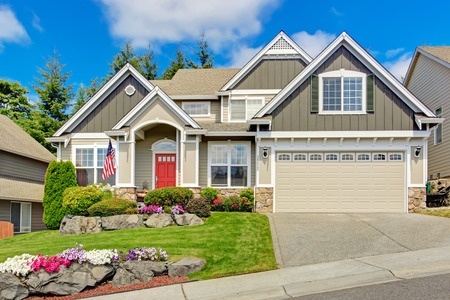 While this happens infrequently, it illustrates the fact that a house’s curb appeal CAN have a major impact on a buyer’s decision to go inside, which could make or break a sale. 1.) Condition of Landscaping Make sure the lawn is free of weeds, is neatly trimmed, and that shrubs and trees are properly pruned and manicured. Make sure that trees and shrubs do not obscure the front of the house. While this may provide privacy to the home owner, too much shrubbery may make the house look small and insignificant by comparison. 2.) Condition of roof and eaves While there is always work to be done on an older home, make sure the roof and shingles are in good condition. If the shingles are curling and show excessive wear, many buyers will walk away, knowing that it could cost $4000-$8000 (or more) to replace the shingles, assuming there is no damage underneath. If you live in an area with mature trees, make sure the eaves are clear of debris and that trees are not too close to the house, as this could damage the roof. 3.) Check the maintenance of trim and entry/exit points Is the trim on the doors and windows painted or capped? Very few buyers like to do this job, as it can be quite tedious. Freshen the paint on any wood trim and check to make sure that vents, and entry / exit points are properly sealed or covered. This prevents moisture from penetrating as well as insects or small rodents entering the home, which can be a deal-breaker for many buyers. 4.) Check the front door Think about it – the front door is the buyer’s first and last impression. Make sure it is in good condition, is clean and that the hardware works properly. Nowadays, with many people entering their home via an attached garage, this is very important, and often overlooked! Make sure those impressions are good ones! 5.) Accent with the right decorating In summer, accent with some planters and hanging baskets. And PLEASE, take down the Christmas lights after Christmas is over. Decorating should enhance but not distract from the appearance of a home. And when in doubt, ask a neighbour. It is the simple little things that can make a difference. Want more tips on preparing your Sherwood Park or Edmonton home for sale? Contact me and I can help you get ready to SELL!